In the world of Boating, trailers decide whether you will make it to the water or not. Using a dry rotted or broken roller can scratch the finish on your boat or worse cut into the fiberglass causing you an expensive repair. 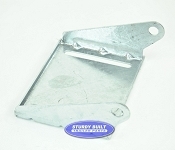 At Sturdy Built Online we understand how important your boat and trailer are to you. 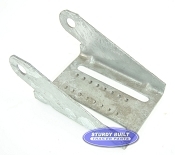 We offer a full line of replacement parts for your boat trailer. 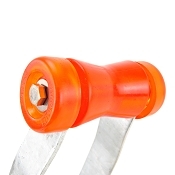 Below you will find everything you need to repair or replace any part of your rollers and the hardware. 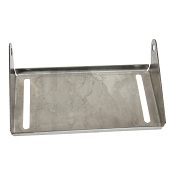 Our inventory includes stainless steel parts, as well as zinc and galvanized coatings to ensure the parts durability and resistance to the elements. 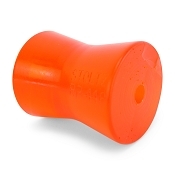 We also carry Stoltz Super Rollers, these innovative rollers outlast rubber rollers and though they cost just a bit more they can save you money over the life of your boat trailer; which means less time working on your trailer and more time on the water. With over 20 years experience we offer a knowledgeable staff and an inventory large enough to accommodate all your boat trailer needs. We have a family feel and a focus on low prices and customer service. We offer same day shipping on orders placed before noon EST. Just add your item to the cart and our user friendly checkout will help you buy your parts and have you back on the water in no time. We are proud to buy American as much as possible and many of our high quality parts are made right here in the United States. Find your replacement Boat Roller from the selection below. We have both Stoltz Poly Products and Black Rubber Products in Rollers and Bow Stops in many sizes depending on your specific needs. There are many options to choose from. In many cases, replacing a Boat Trailer Roller also means replacing the Roller Bracket, Roller Shaft, Pal Nuts, and Mounting U-Bolts or Bolts. We have all these components available below to match up with your damaged set up, or to add a Roller arrangement to your Boat Trailer. 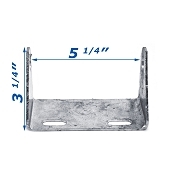 If you are needing any additional mounting hardware, check out Boat Trailer U-Bolts and Trailer Bolts to assist you with getting the correct size. 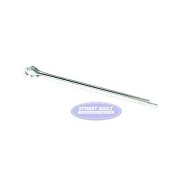 Keel Roller Assemblies are ideal for assisting you with loading and unloading your boat. These assemblies will work for nearly ever make and model of Boat Trailer. They mount to the cross members of your trailer along the center line for support.